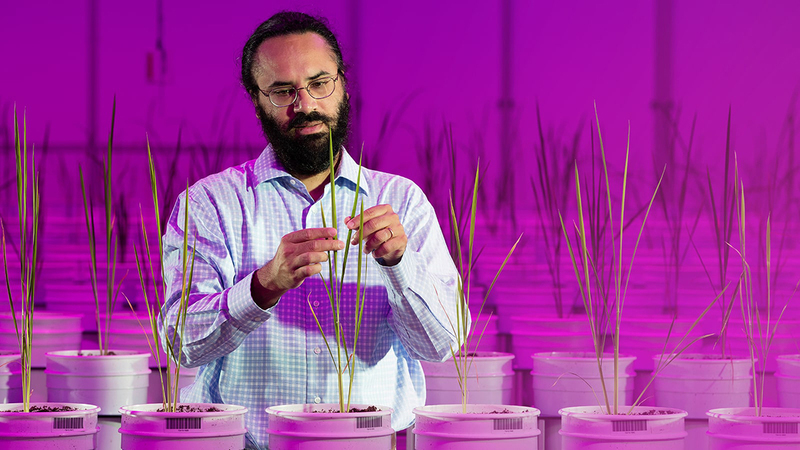 Research in the Walia Lab is focused on understanding how plants adapt to abiotic environmental stresses like drought, high temperature and salinity stress. A particular area of interest is elucidation of the physiological and molecular mechanisms involved in stress tolerance in a developmental context. Using functional genomics, phenomics, computational and physiological approaches, researchers are able to explain the mechanisms involved in abiotic stress tolerance in cereals such as wheat, maize and rice. The overall research goal is to discover genes and genetic variants that can be used to improve crop performance in sub-optimal growing conditions.